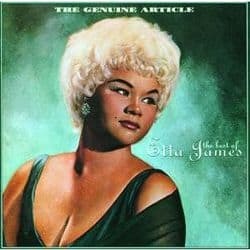 Famed R&B/Blues/Jazz singer Etta James, a Rock & Roll Hall of Fame member whose biggest hit was At Last, now suffers from advanced dementia (likely Alzheimer’s disease) and leukemia. According to her doctor, she can’t sign her own name and needs help even with basic life functions like eating, dressing and hygiene. Etta is only 72 years old. To make matters worse, her mental incapacity has sparked a family squabble that has led to a lawsuit. Her husband of 41 years, Artis Mills, filed a court proceeding to take control of about one million dollars of bank accounts in Etta’s sole name. Mills says he needs to money to pay for her care and keep her at home, rather than in a nursing home. In most states, this would be done through a conservatorship proceeding (called “guardianship of the estate” in some states). Since California is a community-property state, and because Mills is the spouse, his lawyer instead opted to file a separate lawsuit which asks for Etta’s money to be declared to be community property and to permit Mills to move the cash to a joint account with his name on it. James’ son from a different father, Donto James, is opposing the lawsuit. On what basis can he do this? Etta signed a Power of Attorney for Donto in 2008. This is an important legal document (which every adult over the age of 18 should have), granting her son the power to make her legal decisions in the event of her incapacity. Normally, the Power of Attorney would control, which would mean that the husband of 41 years would lose out. Yes, a Power of Attorney usually trumps 41 years of marriage. But, Mills is not giving up that easily! He’s claiming that Etta was not mentally competent back in 2008. If true, that would make the Power of Attorney document invalid. The son claims that he, like Mills, wants Etta’s money to be used for her care and to keep her at home, rather than an institutional setting. But Donto wants someone independent to manage the money instead of Etta’s husband. Donto, along with another of Etta’s sons, says she was still mentally sharp in 2008 and continued touring and performing across the country until 2009. The first court hearing was this past Friday. The judge set the case for a second hearing, scheduled for February 24th. In the meantime, he ordered that $60,000 should be released to Etta’s husband to pay for her care (which is reported to cost about $30,000 per month). Fights between spouses and children of a prior spouse (or other parent) are far from unusual when someone develops Alzheimer’s disease or another form of dementia. Alzheimer’s disease is a growing epidemic in our country, affecting around 5.3 million people. According to the Alzheimer’s Association, it’s the 6th leading cause of death, nationally. That’s why having the proper legal documents in place, signed early — before there is any question of whether someone is competent — is so important. It’s hard enough on the family when a loved one is stricken with this terrible condition. A family feud in court only makes it that much harder.